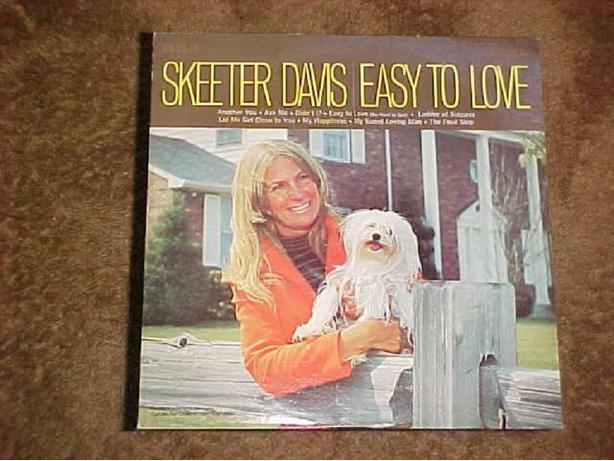 RCA RECORDS RELEASED THIS ALBUM BY SKEETER DAVIS (GOTTA LOVE THAT FIRST NAME), EASY TO LOVE IN 1970. ITS NUMBER IS CAS-2367. SOME OF THE FEATURED SONGS ARE EASY TO LOVE, MY SWEET LOVING MAN AND LET ME GET CLOSE TO YOU. BOTH THE SLEAVE AND RECORD ARE IN GOOD CONDITION.